Enhance the health and happiness of your beloved animals with this comprehensive guide to holistic healing and therapy modalities. Animal Healing demystifies vibrational energy and offers detailed information on how you can sense, establish, and attune your awareness to animal energy. You'll learn to activate wellness on all levels and deepen the unbreakable bond with your animal's heart, mind, and soul. Providing in-depth descriptions and personal case studies about each healing modality, Niki J. Senior sheds light on the true nature of emotional animal health and disease. 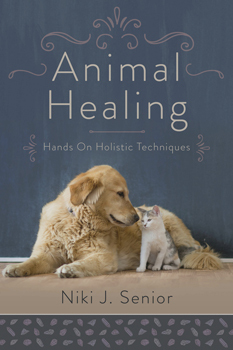 Using ground-breaking techniques and exercises, she shows you how gemstones, crystals, flower essences, and other natural remedies can effectively heal your animal.